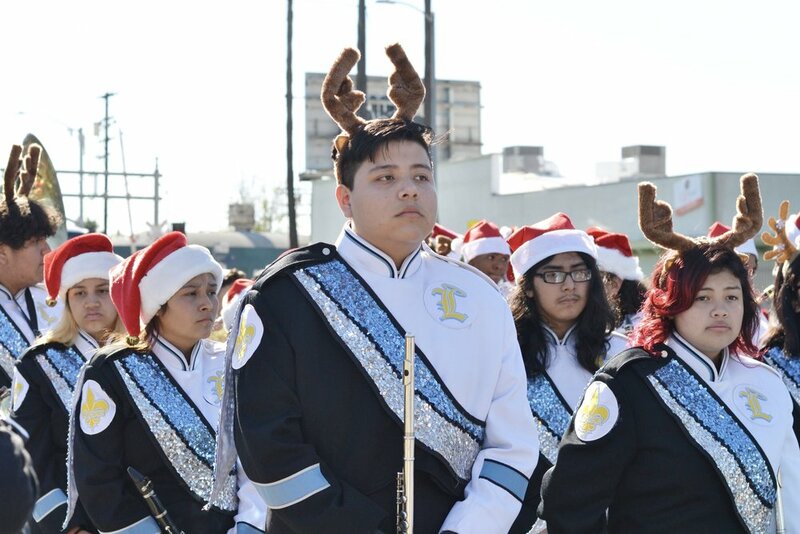 The holiday cheer delivered by the Watts Christmas Parade can’t be described with a single phrase. Congresswoman Maxine Waters at the Watts Christmas Parade on Saturday, December 8, 2018. 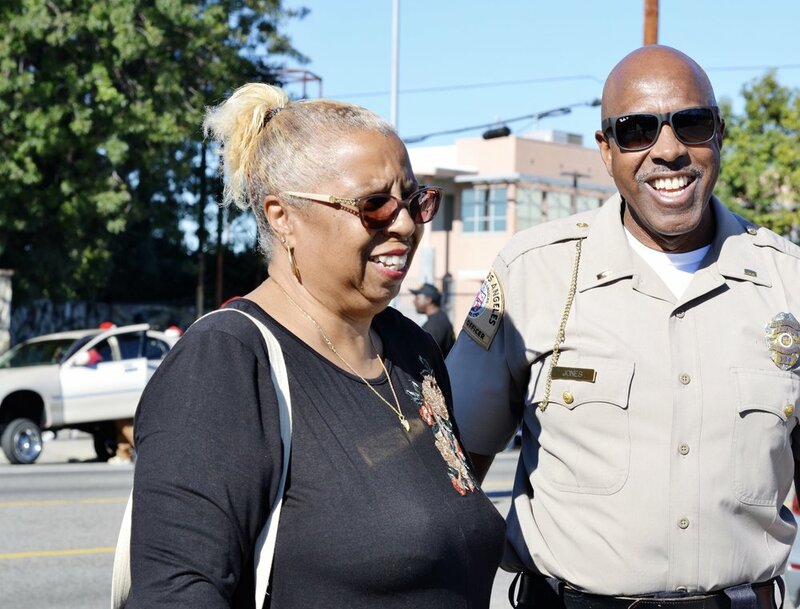 The congresswoman was the parade marshal and sitting on the back of a convertible before the the procession began, Waters paid tribute to the founder of the Watts Christmas Parade, the late Edna Aliewine and commended Edna’s daughter, Paula Aliewine, for continuing with the tradition. Watts Christmas Parade Organizer, Paula Aliewine discusses last-minute parade details with law enforcement officials. On parade day, “everybody’s happy",” says Aliewine. But Paula Aliewine almost skipped the festivities this year. A recently retired law enforcement officer, Paula was hoping to take a break from the coordination, and countless hours of work it takes to put on the annual event. She was hoping to begin her retirement years as stress-free as possible. Plus, the parade cost would likely result in hefty out-of-pocket expenses too. Ultimately, though, she realized her mother’s efforts had become too important to let go. 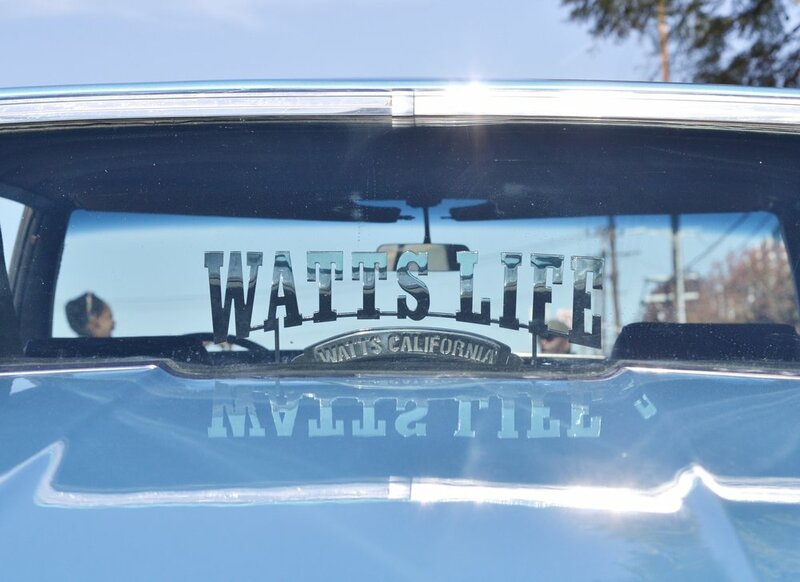 The 53rd Annual Watts Christmas Parade went on without a hitch Saturday and for a few hours nothing would interrupt the enthusiasm that was felt along Central Avenue in a city whose residents love representing their community. 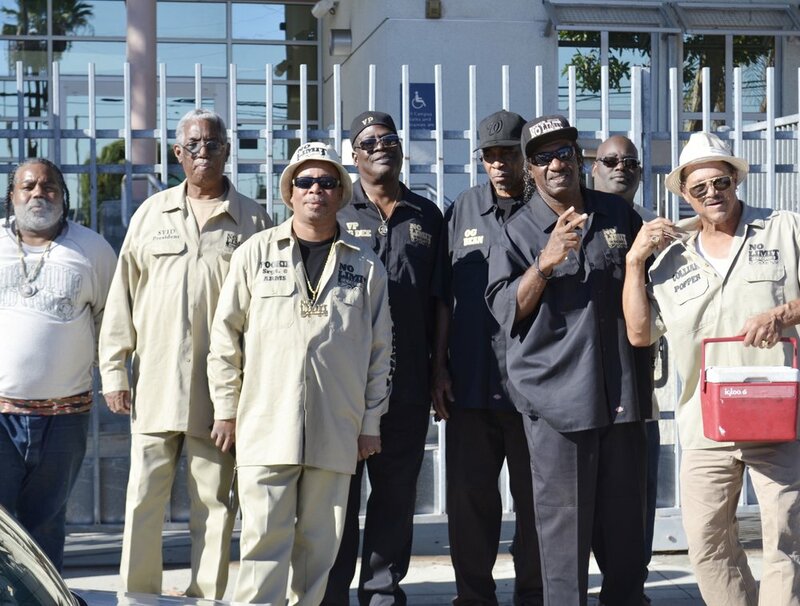 A lively caravan of Watts organizations, schools and businesses walked for several blocks entertaining the crowds that lined up the streets. Spectators could be seen cheering and often times getting up to dance to the tunes of the live bands and local drumlines. The LadieRiders, a female bike club founded in 2012 by cancer survivor Valisa Wilson entertained the crowds with unique bike maneuvers and R&B music playing from their bicycles. “We ride out here for health reasons. We would like you guys to come out and enjoy the ride!” said Wilson. For Paula Aliewine, who was featured in the premier print edition of Mommy In Los Angeles Magazine— the parade was another successful endeavor. While she mostly remained behind the scenes, she says her biggest satisfaction is seeing people happy. To Support the Edna Aliewine Foundation or become a sponsor for next year’s parade, contact Paula Aliewine at (323) 563-3629 or by email at wattschristmasparade2012@gmail.com.